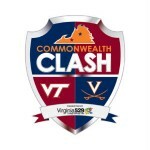 The UVA baseball team plays host to Maryland this weekend in the best-of-three NCAA Charlottesville Super Regional at a sold-out Davenport Field. Game 2 is set for today at 3 p.m. Augusta Free Press editor Chris Graham will be reporting live from Davenport with score and situational updates, commentary, analysis and more. Augusta Free Press editor Chris Graham will lead a live blog discussing the NCAA Tournament Selection Sunday seeding of the Field of 68 that will compete for the 2015 national title. 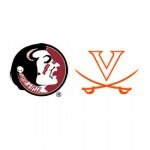 Augusta Free Press editor Chris Graham will be courtside at the John Paul Jones Arena in Charlottesville for today’s ACC basketball game between second-ranked UVA (26-1, 14-1 ACC) and Virginia Tech (10-18, 2-13 ACC). Tipoff is at 4 p.m.
Augusta Free Press editor Chris Graham leads a live blog during tonight’s ACC basketball game between second-ranked UVA (25-1, 13-1 ACC) and Wake Forest (12-15, 4-10 ACC). Augusta Free Press editor Chris Graham will lead a live blog during Saturday’s ACC matchup between third-ranked UVA (20-1, 8-1 ACC) and #9 Louisville (19-3, 7-2 ACC). Tipoff is 7 p.m. at the John Paul Jones Arena in Charlottesville. 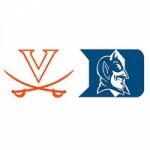 Second-ranked UVA (16-0, 4-0 ACC) plays at Boston College (8-7, 0-3 ACC) Saturday at 2 p.m. in Chestnut Hill, Mass. Augusta Free Press editor Chris Graham will lead a live blog during the game. 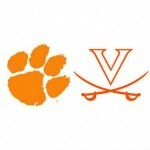 Second-ranked UVA (15-0, 3-0 ACC) hosts ACC rival Clemson (9-6, 1-2 ACC) in ACC action on Tuesday at 8 p.m. at the John Paul Jones Arena in Charlottesville, Va. Augusta Free Press editor Chris Graham will lead a live blog during tonight’s game with score updates, in-game stats, analysis and more. 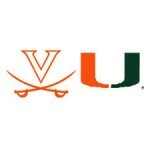 Third-ranked UVA (12-0) opens ACC play on Saturday at Miami (10-3). Tipoff is set for 5:30 p.m. Join Augusta Free Press editor Chris Graham on our live blog for live score updates, in-game stats, commentary and analysis. 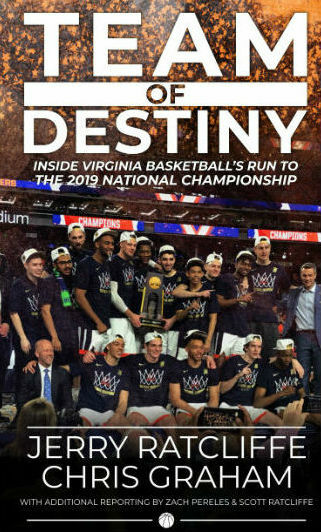 Third-ranked UVA (11-0) hosts Davidson (9-1) Tuesday at 6 p.m. at the John Paul Jones Arena in Charlottesville, Va. Augusta Free Press editor Chris Graham is courtside at JPJ to lead a live blog with score updates, commentary, analysis and more. 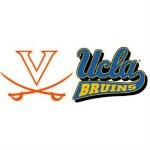 The sixth-ranked UVA basketball team (10-0) hosts Harvard (7-1) at noon at the John Paul Jones Arena in Charlottesville. Augusta Free Press editor Chris Graham will be courtside at JPJ to lead our live blog with score updates, analysis, commentary and flavor from inside the arena. Augusta Free Press editor Chris Graham will lead a live blog during tonight’s WWE TLC pay-per-view. Follow along on AFP, Twitter and Facebook for match results, analysis and commentary. 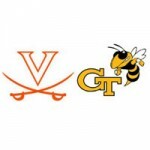 #7 UVA (8-0) faces its toughest test of the season on the road at the Siegel Center in Richmond at VCU (5-2). The tip is at 2 p.m. The eighth-ranked UVA basketball team opens its 2014-2015 season on the road at James Madison Friday night. 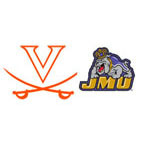 The game at the JMU Convocation Center begins at 7 p.m.
Augusta Free Press editor Chris Graham leads a live blog during tonight’s ACC clash between UVA (3-2, 1-0 ACC) and Pitt (3-2, 1-0 ACC) at Scott Stadium in Charlottesville, Va.
UVA (0-1) hosts Richmond (1-0) today at 3:30 p.m. at Scott Stadium in Charlottesville, Va., and Augusta Free Press is there. AFP editor Chris Graham will lead a live blog around the game, beginning with the tailgate and running all the way through the final ticks of the clock in the fourth quarter. 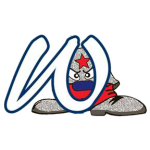 Join Augusta Free Press editor Chris Graham on a live blog from Charles Town, W.Va., where the Waynesboro Generals have a chance to win their second straight Valley League championship. 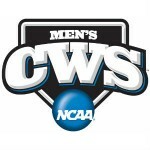 Augusta Free Press editor Chris Graham will lead a live blog during Game 3 of the 2014 College World Series between UVA (53-15) and Vanderbilt (50-21). Augusta Free Press editor Chris Graham will lead a live blog during Game 2 of the 2014 College World Series between UVA (52-15) and Vanderbilt (50-20). Augusta Free Press editor Chris Graham will lead a live blog during Game 1 of the 2014 College World Series between UVA (52-14) and Vanderbilt (49-20). Augusta Free Press editor Chris Graham will lead a live blog during today’s resumption of the suspended College World Series game between UVA (51-14) and Ole Miss (48-20). Augusta Free Press editor Chris Graham will lead a live blog tonight as UVA takes on Ole Miss in the 2014 College World Series in Omaha, Neb. Augusta Free Press is in Harrisonburg for today’s baseball game between #1 UVa. (27-5, 12-3 ACC) and JMU (11-17, 3-2 CAA). First pitch is at 6 p.m. AFP editor Chris Graham is in the press box at Eagle Field at Veterans Memorial Park. Follow the live blog for score updates, analysis, commentary and more. Augusta Free Press is in Madison Square Garden in New York City for the Sweet 16 East Regional semifinal between #1 UVa. (30-6) and #4 Michigan State (28-8). Tipoff is scheduled for 9:57 p.m.
Augusta Free Press is at PNC Arena in Raleigh, N.C., tonight for the second round game in the 2014 NCAA Tournament between #1 East Regional seed UVa. (28-6) and No. 16 seed Coastal Carolina (21-12). 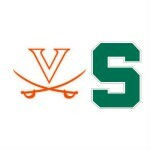 Tipoff is set for approximately 9:25 p.m.
Augusta Free Press is courtside at the Greensboro Coliseum for Sunday’s ACC Tournament Final pitting #1 seed UVa. (27-6 18-2 ACC) and #3 Duke (26-7, 15-5 ACC). Tipoff is at 1 p.m.
Augusta Free Press is courtside at the 2014 ACC Tournament for today’s semifinal game between #3 seed Duke (25-7, 14-5 ACC) and #7 seed NC State (21-12, 11-9 ACC). Augusta Free Press is courtside at the 2014 ACC Tournament in Greensboro, N.C., for today’s semifinal game between #1 seed UVa. 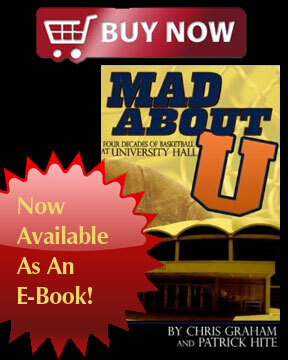 (26-6, 17-2 ACC) and #5 seed Pitt (25-8, 13-7 ACC). Tipoff is at 1 p.m.
Augusta Free Press is courtside at the Greensboro Coliseum for the fourth and final game of the 2014 ACC Tournament quarterfinals pitting #3 seed Duke (24-7, 13-5 ACC) and #6 seed Clemson (20-11, 11-8 ACC). Augusta Free Press is courtside at the Greensboro Coliseum for tonight’s 2014 ACC Tournament quarterfinal game between #2 seed Syracuse (27-4, 14-4 ACC) and #7 seed NC State (20-12, 10-9 ACC). Tipoff is scheduled for 7 p.m.
Augusta Free Press is courtside at the Greensboro Coliseum for today’s ACC Tournament quarterfinal matchup between #1 seed UVa. 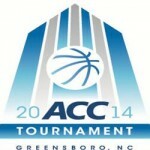 (25-6, 16-2 ACC) and #9 seed Florida State (19-12, 10-9 ACC). Tipoff is scheduled for noon. Augusta Free Press is courtside at the Greensboro Coliseum for Thursday’s ACC Tournament second round game between #7 seed NC State (19-12, 9-9 ACC) and #10 seed Miami (17-15, 8-11 ACC). Tipoff is scheduled for 7 p.m.
Augusta Free Press is courtside at the Greensboro Coliseum for today’s second round at the 2014 ACC Tournament. The first game pits #8 seed Maryland (17-14, 9-9 ACC) and #9 seed Florida State (19-12, 9-9 ACC). Tipoff is scheduled for noon.